A Kitchen is a sacred place, where food is respected and love is served. Indian food habits and kitchen requirements, placement all vary a lot from the western culture, where everything is more compact, utilitarian and organized. Customers want the best of both world and K designs is an expert at blending the advantages of both and creating a practical, user-friendly and beautiful kitchen interiors. Our mission is to be the industry expert in designing kitchens that maintain a good balance between design, utility, cost and quality. Our vision at K designs is to provide an exceptionally pleasant experience to our valued customers, from concept to completion – in offering superior customized design expertise, combined with our extensive range of material and hardware options to create a kitchen which will be of high quality, which will look good, be user friendly and fit within your budget. A Kitchen is a sacred place, where food is respected, and love is served. Indian food habits and kitchen requirements, placement all vary a lot from the western culture, where everything is more compact, utilitarian and organized. Customers want the best of both world and K designs is an expert at blending the advantages of both and creating a practical, user-friendly and beautiful kitchen interior. Modular Kitchen: Revolutionize the Interior Designing of Your House! 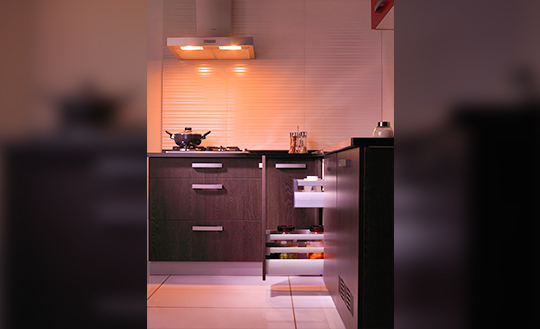 Why Does Every Homemaker Want to Have a Modular Kitchen?